At SJF, our pros are experts in handling anything warehouse related, including custom warehouse design and layout. All aspects of creating or updating a new facility or distribution center, from the planning stages to the equipment acquisition to installation and final inspections, can be coordinated through SJF. Through our extensive sources of contacts in the industry, we strive to provide our clients with a personalized solution that maximizes productivity while leaving room for future growth. Whether you prefer the latest in CAD computer technology and automation or the old-fashioned pen, pencil and a full pot of coffee, our customers receive designs and layouts that are second to none. Innovative and efficient layouts, professional consultants, project support... it's all about customer service at SJF. 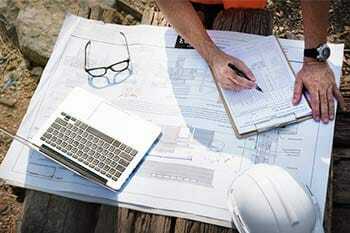 Our design and layout people are experts at analyzing facilities and will help you find the best possible options. This type of extra service enables you to get the maximum utilization out of your facility without breaking your budget. We want you to feel confident that when you give us your business, we have the people, the knowledge and the technology to be there when you need us. For more information, fill out our free warehouse consultation form to talk to one of our solutions specialists. As anybody who has taken on a larger project knows, a good warehouse project manager is the key to getting things done quickly, efficiently and most of all, correctly. Our skilled project managers are able to coordinate all aspects of your warehouse design and layout to bring together all the pieces to make a whole. With all of the many variations of warehouse layout designing, composing the best team for the job is difficult to say the least. SJF's project managers are able to bring it all together by coordinating engineers, contractors and inspectors. Our teams have done thousands of projects, both large and small, and know what is involved in getting everybody working together and on the same page. If warehouse automation is on your radar, our automation team provides complete cutting-edge Warehouse Business Software & Inventory Management Solutions designed fit almost every environment and industry. Does your current or new warehouse need layout, design, engineering, equipment, controls and programming services? 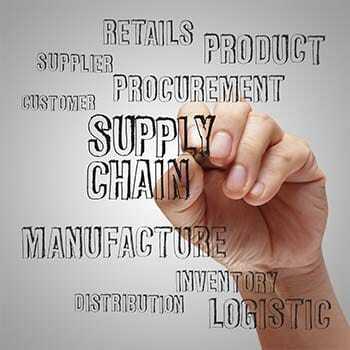 SJF specializes in providing systems integration and Warehouse Management Systems (WMS), as well as innovative logistics solutions for those looking for a turn-key solutions provider. We can help you achieve more efficient distribution and fulfillment using a customized solution that's tailor-made just for you.